Following release of Israeli report documenting ties between pro-BDS groups and terror orgs, Israel calls on world leaders to take action. 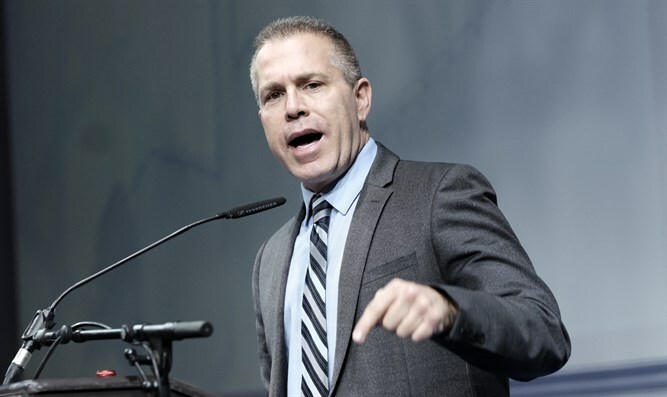 Israeli Minister of Strategic Affairs Gilad Erdan called on Interior, Internal Security and Justice Ministers from around the world to confront groups backing anti-Israel boycotts which have been shown to have links with known terrorist groups. Since the beginning of 2019, the Ministry of Strategic Affairs has published two reports exposing ties between terrorist groups and organizations backing the Boycott, Divestment, and Sanctions movement – many of which are supported by funding from European governments. The first report, "The Money Trail", dealt with the over €5 million in annual funding provided by the European Union, in contrast to its own declared policy, to organizations promoting boycotts against Israel. The second, "Terrorists in Suits", revealed over 100 links shared between the internationally-designated terrorist groups Hamas and the Popular Front for the Liberation of Palestine (PFLP) with at least 13 anti-Israel BDS promoting NGOs. These groups have successfully placed over 30 of their members, 20 of which have served time, in senior positions within BDS-promoting organizations. This week, Minister Erdan addressed his fellow Interior, Internal Security minister and Justice minister peers in the United States, Britain, Norway, France, Belgium, Brazil, India, Germany and the Commissioner for the Security of the European Union stating, "In light of the findings of the report and the great duty we share as ministers responsible for interior and public security, I urge you to examine the activities of the boycott organizations operating in your country and ensure that they do not advance the radical agenda of the terrorist organizations to which they are connected, and halt any activities or public funding they receive." Last month, Minister Erdan also called on the EU's Foreign Minister Federica Mogherini to immediately cease the estimated €5 million a year the EU transfers to organizations promoting boycotts. "We will continue to expose the true face of BDS organizations and act to stop the funding given to them. It is unthinkable that terrorists who present themselves as human rights activists are going around European parliaments receiving legitimacy and funding from them. I urge my counterparts to put an end to the fraud stemming from BDS,” said Erdan. The Ministry of Strategic Affairs also launched a campaign on social networks to help raise awareness and expose the true nature of boycott organizations operating in Europe as "human rights organizations", while in truth, they hide their ties to terror groups. Meanwhile, the Ministry of Strategic Affairs has noticed the effects of the campaign on BDS organizations following the "Terrorist in Suits" report's recent release, especially in regards to donations from European countries. The PFLP stated that the terror report issued by the Ministry describing the links between terrorist organizations and the boycott organizations as “completely false”. Samidoun, an NGO mentioned extensively in the report as being filled with current and former terrorist operatives, responded to the report in an interview with the Lebanese TV program associated with Hezbollah “Al-Miadin”. Charlotte Kates, the organization's international coordinator, claimed that the report was part of "a Zionist attack" against the Palestinians in an attempt to incriminate Palestinian security prisoners held in Israeli prisons, the demonstrations held for them, and the BDS movement. Kates is married to Khaled Barakat, who is also mentioned in the report along with Mustafa Awad. Awad is a PFLP operative who was sent by Barakat to undergo surveillance training by Hezbollah while serving as a "civilian" in Samidoun. Awad is currently serving time in Israel for his involvement in several terrorist organizations. At the same time, the Palestinian National Council issued a call to the European Union to reject the campaign of 'incitement, propaganda and intimidation' against Palestinian and international organizations by Israeli officials. The chairman of the PNC, Salim Zanoun, sent successive letters to the Chairman of the Internal-Parliamentary Union and the President of the European Parliament following the "Money Trail" report, which dealt with the funding granted by the EU to organizations promoting boycotts. The letter noted that this report comes as part of a supposed campaign of defamation and intimidation aimed at ending European funding for international and Palestinian civil society organizations.